Aside from nostalgia is there any reason to keep the Matterhorn Bobsleds and not replace it with something new and better? I'd be curious to know what someone here under 30 thinks. Sure, definitely makes my comment less accurate once I realized I read that wrong and edited it. Matterhorn hurts but with Pan still up it isn’t too bad. Under 30, I think the Matterhorn is too iconic to get rid of or overlay as something else. Maybe I'm a glutton for punishment, but I still love the Matterhorn. Or perhaps it's the coaster enthusiast in me: I've been on a lot worse. It has a quirkiness to it that none of the other coasters match. And visiting Disneyland before any of the other Disney parks, I still feel like something's missing in the other castle parks without it. Speaking to Summer being the new offseason, I discovered that Big Thunder is randomly going down for two weeks in the middle of July when I'll be there. Doesn't matter too much, but a bit disappointing. All they really need to do add more cushioning inside the bobsleds so that when you do get jostled around you’re comfy at least. Space Mountain in WDW is just as bumpy but you don’t feel like you’re going to dislocate your limbs with every turn. Under 30, I love matterhorn, but wouldn't mind if they replace it with a better coaster. I want this supposed new coaster to keep the mountain theme though. Tomorrowland wouldn't be the same without a random mountain. And I want the yeti still there. My only familiarity with The Matterhorn was the safety announcement featured at the beginning of Tragic Kingdom by No Doubt. I have no sentimental attachment to it. I say get rid of it. Get rid of it! We need the room. Ignoring nostalgia, the coaster is historically significant as the first tubular steel coaster. Walt Disney also had a direct hand in its creation, which I is incredibly important in its own right. It's an excellent coaster than all age groups can enjoy. Young kids can conquer it as a first coaster, and seniors can enjoy the ride they grew up with. Getting rid of multi generational experiences would be a detriment to the park. Admittedly, the ride has gotten a bit rough which decreases the appeal, but a track replacement with the same layout, just a smoother ride would be welcome by me. It functions as a backdrop for the projections in the recent fireworks show. It's one of the few objects visible from outside the park. I remember I used to love that first glimpse of the Matterhorn from the freeway as a child. Financially, the ride still draws a long line. It's still popular, so it'd probably cost Disney more to tear it down and build something new than its worth. It doesn't take up that much space and its location is tricky because it borders Fantasyland and Tomorrowland, making any new concept tricky. Remember when this was a legitimate fear? Good times. Really? My source, plied with Pinot Grigio and an early summer fruit n' cheese platter on the patio, say Matterhorn will be getting an all-new queue built out into the area in front of the ride and taking up some of the existing Motorboat Cruise area. Gone will be the cheap-and-cheesy (Sorry, Walt) circa 1959 chained switchbacks and Standby line that stretches around the Submarine Lagoon, to be replaced by a proper 21st century queue design that effectively and aesthetically accommodates Fastpass, Standby and Single Rider. Under 30, I can’t imagine Disneyland without a Matterhorn. I would be all for a complete tear down/rebuild of the mountain and attraction. Bringing it up to today’s E-ticket caliber. Something that can more appropriately buffer between Fantasyland and Tomorrowland. An attraction with an actual queue. Also something that would reason for a reroute of the Monorail. Really? My sources, plied with Pinot Grigio and an early summer fruit n' cheese platter on the patio, say Matterhorn will be getting an all-new queue built out into the area in front of the ride and taking up some of the existing Motorboat Cruise area. Gone will be the cheap-and-cheesy (Sorry, Walt) circa 1959 chained switchbacks and Standby line that stretches around the Submarine Lagoon, to be replaced by a proper 21st century queue design that effectively and aesthetically accommodates Fastpass, Standby and Single Rider. Sounds great. Still hate it being down in the summer, but if this is true it'll be welcomed. Even Walt didn't like the exposed queue for the Matterhorn. Only if it’s rebuilt taller. Even Walt didn't like the exposed queue for the Matterhorn. He didn't? He repeated that exposed queue in 1961 with the Flying Saucers, and again in 1966 with it's a small world. And although he passed away in late '66, the plans were complete for the early 1967 debut of Pirates chain switchbacks along the side of the building, and 1969's plain switchbacks behind the house for the Haunted Mansion. 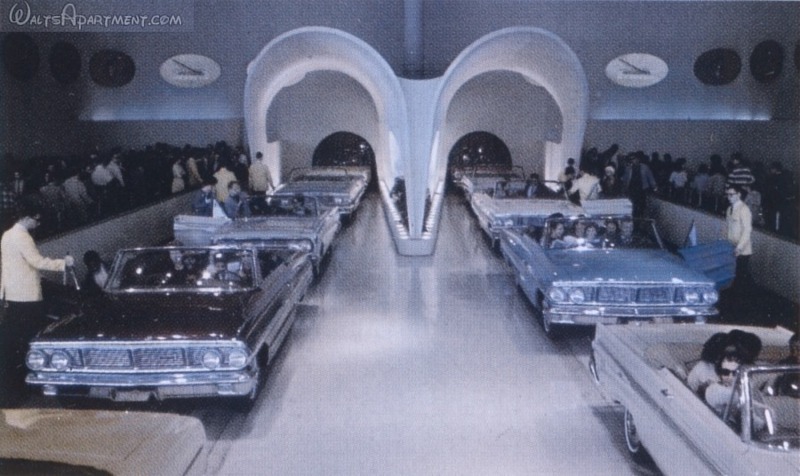 Before they finally and mercifully snaked their way inside the pavilion and got loaded into a new Ford, Mercury or Lincoln convertible for their ride through Walt Disney's Magic Skyway. 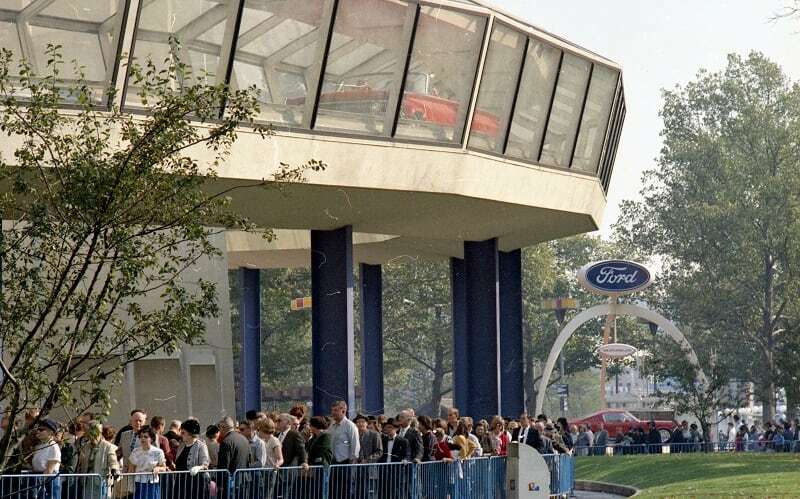 The Carousel of Progress, a beautiful building and pavilion with many exhibits besides the main revolving theater show, was also surrounded by plain switchbacks. 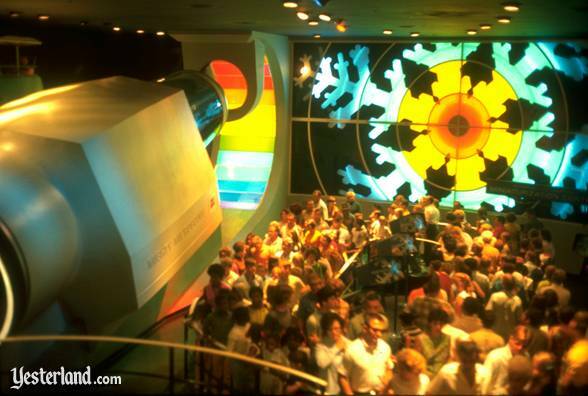 An argument could be made that the August, 1967 debut of Monsanto's Adventure Thru Inner Space was the first fully themed queue, but that was an aberration for Walt's era. Over 30, but still, I can't ever imagine them removing Matterhorn as far as the physical mountain goes. It's just far too estasblished as part of the iconic Disneyland skyline. That said, as much as I can appreciate a historic coaster, I'd be totally fine with them gutting the inside (probably an impossibility) and putting something better and smoother inside while keeping the overall vibe of the attraction intact. Over 60, and if the Matterhorn is ever torn down then it's not really Disneyland any more and I'm out. My question is, even though they are 2 different rides, would closing matterhorn and keeping everest open technically count as another example of the "closure exclusivity clause" (if it closes in one park, it must remain open in another).